Booking is currently open for annual passholders, DVC members, Golden Oak residents, and Tables in Wonderland members. This morning, guests have been able to book Party for the Senses; French events (Parisian Breakfast, Parisian Afternoon, Family Traditions); Italian Regional Lunch; Food and Wine Pairings in Japan and Morocco; Hibachi experience in Japan; and low-cost seminars and demos. Discounts are available for low-cost events Mon-Thurs for affinity groups. Confirmed that all events outside of Epcot are not returning, including Trader Sam’s Behind the Scenes and Grand Floridian Brunch with a Twist, all culinary adventures in signature dining — events at places like Flying Fish, Victoria and Albert’s, etc. Other events NOT returning: Japanese craft beer tasting, Morocco Food and Wine Pairing (Mediterranean food and wine pairing IS returning). DVC and Passholder wait times are now down to under 5 minutes. 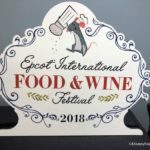 Epcot’s International Food and Wine Festival kicks off on August 30, 2018, and will tantalize taste buds until November 12! That’s 75 days of food, drink, and special events and experiences that, frankly, we don’t want to miss. 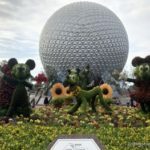 Booking for Epcot Food and Wine Festival events opens on June 14th at 7AM for the general public, and on June 12th at 9AM for select affinity groups like DVC members, Annual Passholders, and Tables in Wonderland members; and that means it’s TIME TO PLAN TODAY! If you want to make the most of your visit to this uber-popular festival, you can’t wait until you step foot into the park to sort it all out. Last year’s festival had 35 food booths and more demonstrations, seminars, and special events than ever before, and 2018 is shaping up to be even bigger! First, you’ve gotta know when you’ll be visiting the park and what’s happening while you’re there. 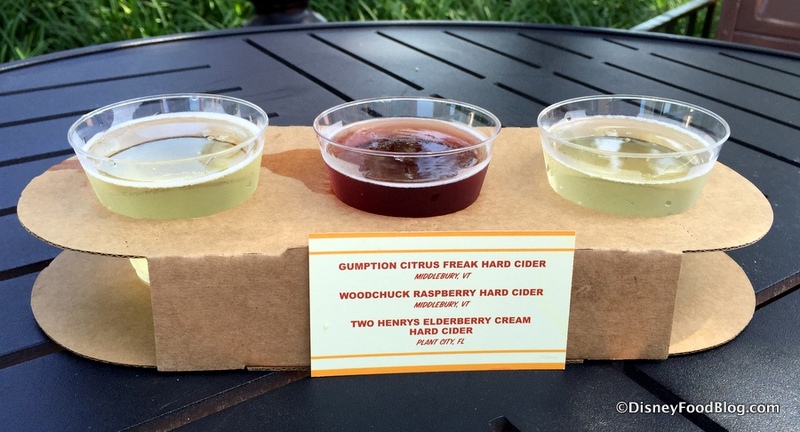 Every day of the Festival is packed with add-on experiences like food and beverage pairings, culinary demonstrations, and even some fun for the kiddos. Check out our 2018 Food and Wine pages for up-to-date schedules of events, descriptions and reviews of events, and associated costs. Then, make yourself a list of things you’d love to do and when those things are happening. When the booking window opens, you’ll want to start trying to get through to Disney ASAP. And if there’s something you absolutely must do, we recommend covering all of your bases. Get a couple of phones on hold with Disney while you also go online to see what’s available there. If you see something on your must do list, jump on it! 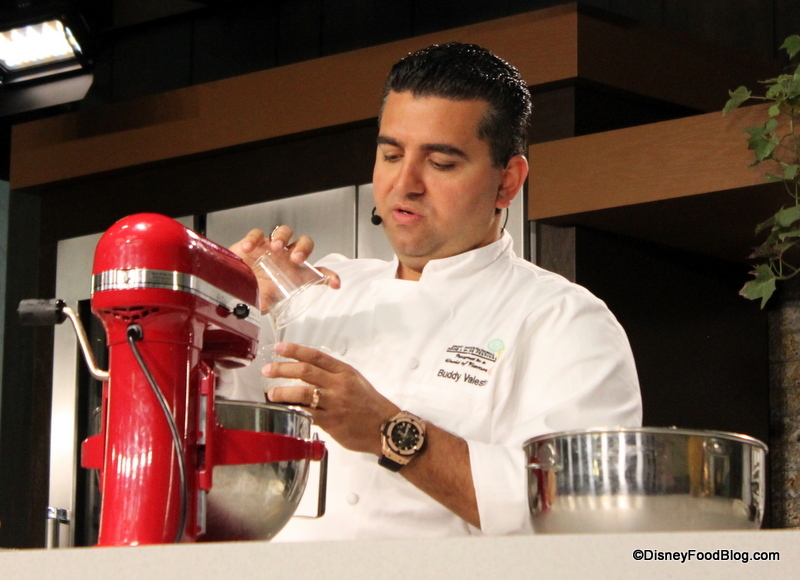 Want to see your favorite TV chefs? Get on the phone! We know what you’re thinking: “DFB, are you for realz? Two phones and the internet? That’s straight up kookydooks. ” Friend, while we appreciate the Moana reference, the reality of Food and Wine special events is that they sell out super fast. So if you’re not feeling flexible and willing to take whatever is left after the first mad rush, you’ll want to do what you can to get into that rush yourself. 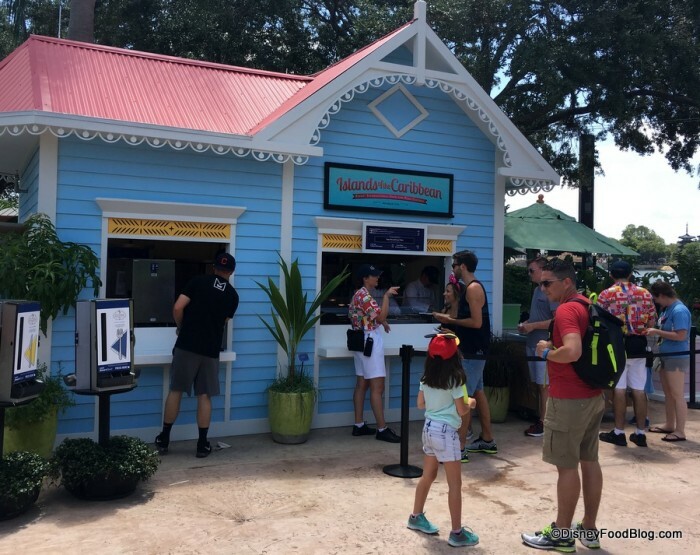 For more insight into what it’s like to book Food and Wine experiences, check out this overview of what to expect on peak booking days! So what happens after your nail down your cheese tastings and your Eat to the Beat dining package? All the rest of your planning! 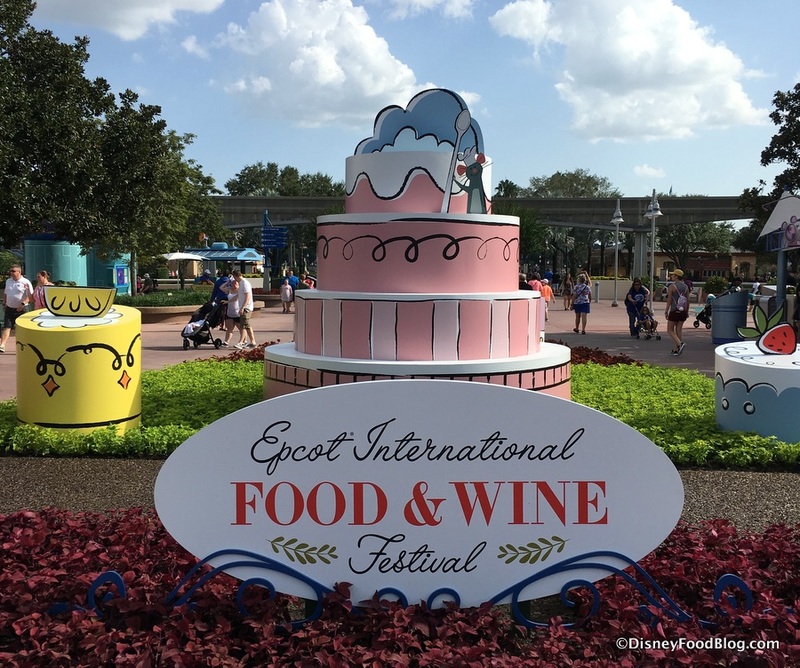 We’re talking food booth and menu previews, scoping out the expected crowds (and tips on how to navigate them), and so much more that you need to know in order to really do Food and Wine. Prepare to line up for fun! And the good news is that the DFB has been food and wine-ing it for over a decade, and we’ve assembled our knowledge into a handy ebook! 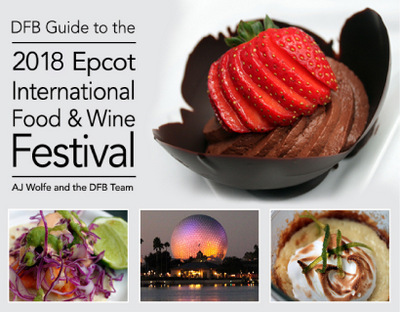 Pre-Order the DFB Guide to Epcot’s International Food and Wine Festival 2018, which contains over 250 pages of tips, information, and experienced musings on everything Food and Wine. It’s the best — and we should know because we totally checked. 😉 When you order your guide, you’ll get the 2017 edition for FREE. 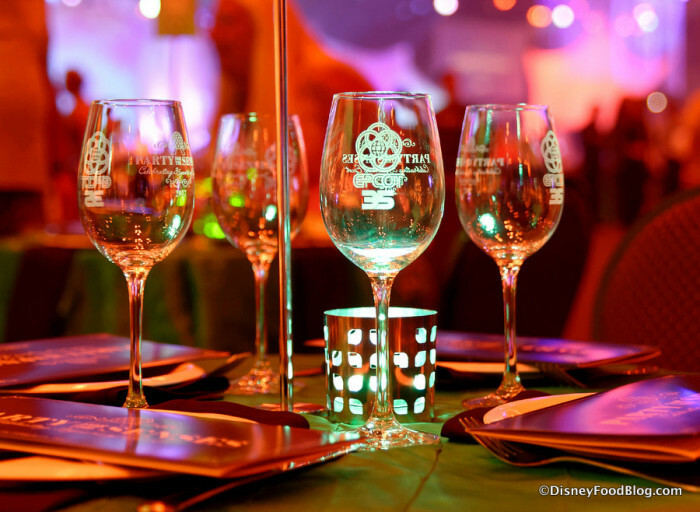 Then, once Disney releases all of the details for Food and Wine, we’ll send out the 2018 edition! So now you’re ready to tackle the awesome task of booking your Epcot Food and Wine Festival experiences. Go, you! We can’t wait to see y’all at the Festival! 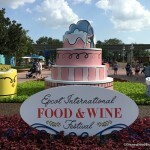 What’s your favorite part of Epcot’s International Food and Wine Festival? Let us know in the comments! Tequila lunch is also (unexpectedly) available today! Has anyone booked the Parisian Breakfast? I was told yesterday they had no information about this event. Alex: This is what we’ve learned about thusfar this morning. Working on gathering more information now as well. Hi Alex, i just spoke to DVC member services and was able to book the Parisian breakfast for 9/29 if that helps. 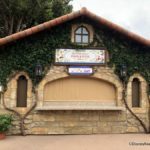 Alex: Confirmed information about the Parisian Breakfast is up on our Food and Wine Special Events Page! Thanks for all your efforts. All booked. 10 demos and 2 lunches. It looks like all the signature dining events have been cancelled? Is there a trick to finding out about ALL the offerings? I don’t see the Parisian Breakfast offered on the Epcot website? I was able to book 3 culinary demos and 2 Brunches with the chef for Oct 21 and Nov 11! However we were looking for a date in early September and the event does not start until 22nd. Yuck! Erin, it sounds like you’re going to have a blast! Rod, unfortunately all of the Adventures in Signature Dining events have been eliminated this year. As for where to find out about all of the available offerings, we’ve assembled info on Special Events and on Low-Cost Demonstrations and Seminars on our Food and Wine Main Page. Mark, that sounds like a food fabulous trip! 🙂 Enjoy! Thanks for all the specifics on all the seminars and events. I was able to book a “Make It” seminar, which I couldn’t find on the official Disney website, because of your information. Barb: So happy our info helped! Enjoy! Thank you! We are all booked for absolutely everything we wanted this year! I think because nothing was posted on Disney we actually only waited on hold for twenty minutes this year, which was incredible. Can’t wait for Nov 5 Hibatchi! !